This pocket park outside the Veridian Apartments is nice, but it's not great for retail. Take a walk around downtown Silver Spring and you'll notice a lot of empty shops and empty parks. As it turns out, the two are related. Just look at The Crescent condominium on Wayne Avenue, which has seen a rotating cast of retail tenants since it opened in 2006. Or the newly-completed United Therapeutics headquarters, which has several empty retail spaces at the intersection of Cameron and Spring streets. Around the corner, developers of an apartment building called The Cameron placed tables and chairs in front of their ground-floor retail space in anticipation of a restaurant, but they got an outpatient surgery center instead. Why aren't these spaces filled with successful shops and restaurants? Retailers in an urban area like downtown Silver Spring rely on foot traffic, not car traffic. They need lots of shoppers walking in front of their windows, because a few of them will actually come inside. But new storefronts in the area are often too far from the sidewalk or each other to let that happen. Developers placed tables and chairs outside The Cameron assuming a restaurant would locate there, but an outpatient surgery center opened instead. 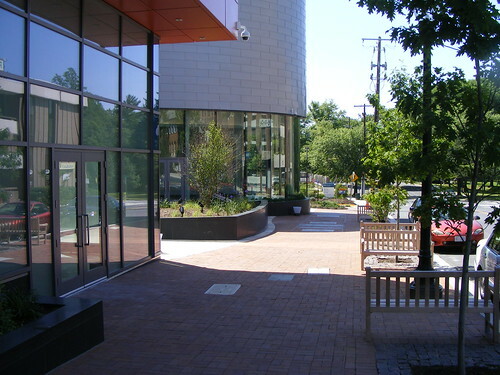 Each of those three projects, like most new buildings in downtown Silver Spring are required to have a pocket park. Some are more successful than others, but most create gaps in the street wall, the part of the building that faces the street. Street walls need to be continuous, and they need lots of storefronts to work well. Renowned Danish urban designer Jan Gehl notes that successful shopping streets have storefronts about 25 feet wide. This means that a pedestrian walking at normal speed will see something new about every 5 seconds, keeping their attention. In addition, pocket parks placed directly in front of a building separate the shops from the sidewalk, discouraging pedestrians from wandering over because they can't see what's going on inside. If that pocket park is intentionally or unintentionally designed to repel people, no retailer can survive there. If you don't believe me, just look at any successful retail street in Greater Washington, from M Street in Georgetown to Woodmont Avenue in Bethesda to Mount Vernon Avenue in Alexandria's Del Ray neighborhood. The shops all have narrow storefronts, there are few gaps between them, and they're close to the street. As a result, these streets can keep stores in business. A little plaza breaks up the street wall between empty storefronts in the United Therapeutics headquarters on Spring Street. Not surprisingly, retailers moving to downtown Silver Spring are finding spaces next to the sidewalk. At the Veridian, an apartment building on East-West Highway, there's a small grocery store and a Papa John's on the sidewalk, but two other spaces facing a large and well-landscaped park have been empty since the building opened three years ago. Of course, that doesn't mean that any space on a sidewalk will immediately get filled, especially if they're off the beaten path. Most of downtown Silver Spring's shops and restaurants are east of Georgia Avenue and south of Colesville Road; naturally, that's where the most activity is. Shoppers may be reluctant to wander even a few blocks away from that area, which in turn makes retailers reluctant to open there. That's a large part of why there are so many vacancies along East-West Highway and Cameron Street. The key to making retail work in those places is to create a destination, even for people living in the immediate area. One way to do that is with a well-used park. A few weeks ago, I got an email from Eitan Gutin, who lives with his family in the Galaxy, a new apartment building on 13th Street. Its pocket park, which is shared with two other buildings, "gets plenty of use," he wrote. "People often sit at the tables in the shade to eat or do work, and on the weekend the playground has at least one or two families for a good chunk of the day." Photosynth of the public space at the Galaxy by JimmyO. This is the kind of public space a shop wants to be next to. All three of the surrounding buildings open onto the park, meaning there's lots of foot traffic going through it. And the space is used for a variety of activities throughout the day - Gutin says a Jewish prayer group even has potlucks there - meaning it's busy at all times. Unfortunately, most of the Galaxy's ground floor is a parking garage, which was a missed opportunity for good retail. 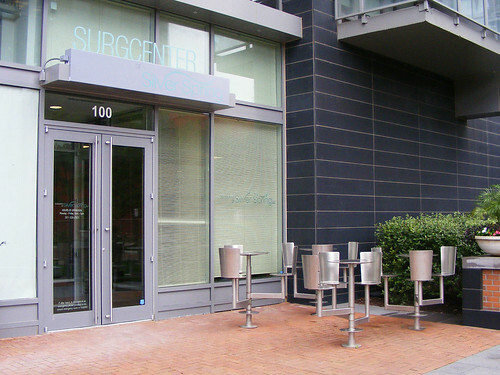 How can create more successful retail space and public spaces in downtown Silver Spring? For starters, we should concentrate our open space. Instead of requiring that every building have a little park where nothing happens, we should encourage the creation of a few larger parks where lots of activities can occur. Fortunately, the county is already exploring ways to do this. In turn, we need to concentrate retail activity. New retail space should be located near existing stores and restaurants, so they can form a more substantial destination. We should also make sure that existing shops aren't displaced by buildings with no stores in them, which puts gaps in the street wall. 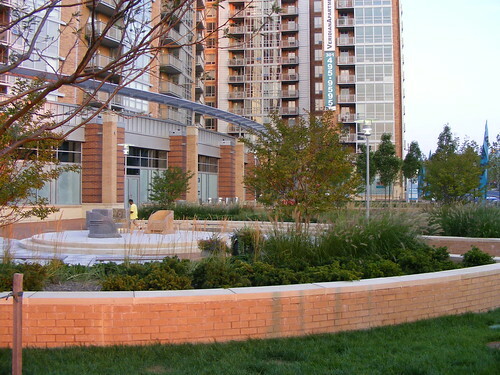 In an urban area like downtown Silver Spring, successful retail and successful public space can go hand in hand. The key is making sure that they're both designed and located to get people using them.